By definition, a rainfly is the outer layer of a double wall tent. It is usually waterproof. And as the name suggests is meant to keep water out of the tent in case it rains. More often than not, rain flies are sold separately. And as a result are usually floorless for easy of transport. And set-up. 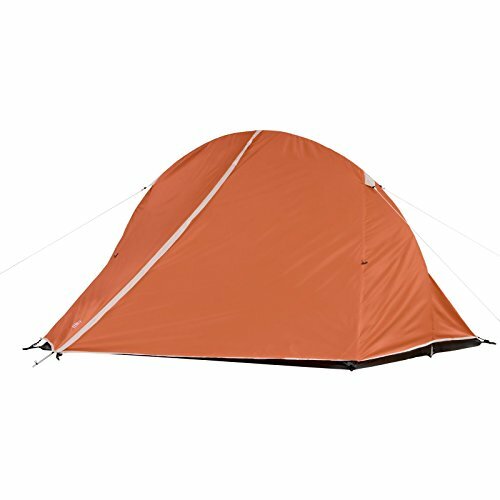 The Coleman Accy Rainfly Instant 8 Person Tent Accessory is one of the best in the market of best tent accessories. 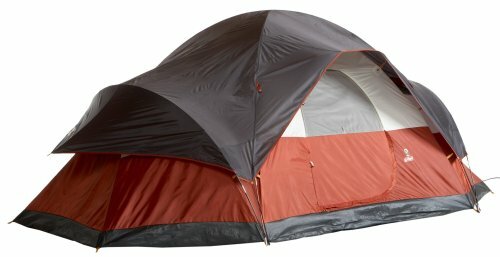 And is designed for tents as large as the 8-capacity variety. Tent FitThe Coleman Accy rainfly is designed to fit a 14′ x 10′ tent with a capacity of up to 8 people. It can also cover smaller tents. But the air gap left allows air pooling which could destabilize the tent especially in windy weather. Weight and MeasurementsThe rainfly weighs 3.4 pounds which makes it easy to carry around with other camping gear. Its dimensions are 9.8 inches by 9.8 inches by 3.9 inches, when spread out. It is flexible and can easily be folded to make it easier to transport. Leak-Free Seams and Waterproof MaterialThe main purpose of a rainfly is to keep the water our and the interior dry. This feature of the Coleman Accy Rainfly ensures that no water gets in; be it rain, molten snow or splash off from a water body near your camping site. Inverted SeamsThis unique design hides the needle holes away from the exterior providing weather resistance and durability despite continuous exposure to harsh elements. 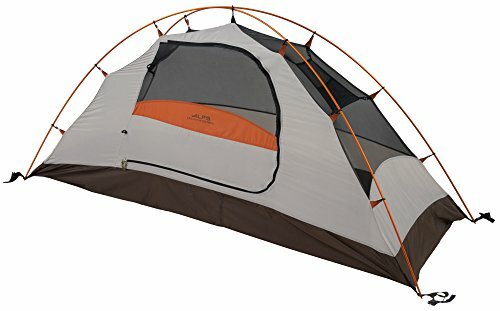 Why You Need Coleman Accy Rainfly Instant 8 Person Tent Accessory? If you are planning on ever going camping somewhere known for unpredictable weather. Then you definitely need to consider getting yourself the Coleman Accy rainfly. The waterproof nature ensures that even if it rains all day. And night, your tent, and your spirits, will not be dampened in any way. Pun intended. This Coleman Accy in particular will come in handy. And super convenient when you have many people in one tent due to its wide coverage. 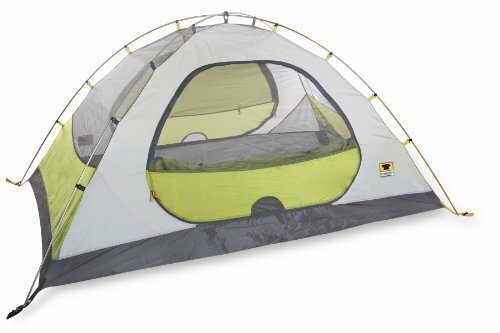 How to Use Coleman Accy Rainfly Instant 8 Person Tent Accessory? The Coleman Accy rainfly is fairly easy to set-up. You first have to pitch the tent and ensure that it is firm and as taut as possible before beginning the rainfly setup. 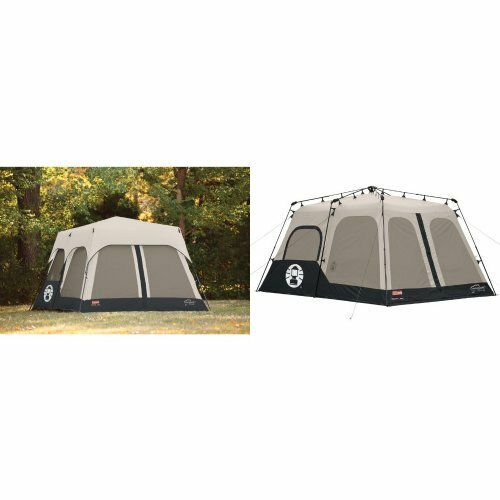 Using the poles and pegs provided, the Coleman Accy rainfly is mounted over the tent in such a way that it does not touch the inner wall of the tent. You should also ensure that there are no loose or hanging spots on the rainfly surface to avoid collection of water, dirt or wind that could destabilize the entire set-up. Having these tent accessories as a part of your camping arsenal is sure to make your experience one for the books. Below is a descriptive analysis of each of them to make things easier for you should you choose to stock up for the camping season. After all is said and done, there is no denying that the seven products described above are amazing and would make a huge difference to your camping experience. The features make them convenient to carry around and easy to use. This is an advantage especially to inexperienced campers such that you are assured a fun and easy time whether you are a camping guru or a newbie. So if you are thinking of taking up camping as a new hobby or you simply wish to update your camping gear, you can rest assured that you will never go wrong with any of the seven best tent accessories above. Well, let me say something about the main part of a camping is about food. Yes, food meal is the another main factor. That may help you to enjoy your camping perfectly. So I am going to write here about top 3 best camping recipes. Which may help you. I am sure you are experienced the surge of ambience. When you are at camp but a good camping experience can be influenced. To many factors like weather. Cost and cooking experience. And off course overall feasibility of the trip. Keeping the weather and feasibility in mind we have compiled. A short and sweet list of top 3 best camping recipes. That goes well with anyone whether a beginner or professional. Whether the seasons is rainy or solstice of summer. Not to forget cost effective and easy to make and serve. This article hones to every campers need. So spare a few precious minutes of you time. And go through the best camping recipes below. To make the article interesting we have divided the supper upon three meal a day. And with a unique preparation time and difficulty meter. The top recommended meal is oatmeal, what a great way to start your day, you will soon realise why it is so. Fortunately one requires only a boiling water arrangement, which can be arranged quite easily in such places. It is widely eaten and is best for mornings because it provides all the fibre and carbs for the day moreover it remains edible almost all till the afternoon. Alternatives: bacon and eggs can be added and are widely regarded in the best camping recipes of the world. It’s very easy to make breakfast & also a time saver. I am sure you are not hearing this for the first time but voila it is pancakes. A classic choice for lunch among many professional hikers and campers said: it is my all-time favourite for a few reasons. My thinking on meals for lunch has always been to paddle one’s canoe, it saves a lot of time and trust me it is all well worth also you can make some quick add-ons like vegetable sticks, granola bars, peanut butter and cheese. Alternatives: A quick soup or pasta if ones prefers afternoon hike or is a land discovery enthusiast. It is the utmost exciting and awaited time, it is the time we usually regroup with family of friends, it is thus a common practise to cook a big meal around the campsite table. One can argue upon many dishes for best camping recipes, but I have selected a few which are easy to pack and prepare. 1: starter: open fire toasted burritos recommended as everything has to be done over an open fire, you can utilise the coal stacked up during the day. 2: I am sure you have not heard of this – the campfire pizza log – a crowd appetite increaser all the time and my personal favorite , whether you have grills or log it is a piece of cake to make once all ingredients are packed carefully. 3: an open fire dinner is never complete without a fresh tout, it makes the meal splendid and tastes fine when cooked over an open fire. Alternatives: Well you might me wondering where the desserts are, look back in our post for an article for exclusive camp fire easy to make deserts. I am sure that the first question one asks you when you are just set at the camping site is, what’s for the supper? And you might definitely go blank but now I am quite sure that by the end of the article you could make a hassle free choice of best camping recipes yourself, isn’t it? Look out for more articles on camping tents reviews, faqs.